There is no arguing that some of the tastiest pizzas in the US come from Papa Murphy’s, a take-and-bake pizza company that resulted as a merger of Murphy’s Pizza and Papa Aldo’s Pizza. Currently, it is the fifth largest pizza company in America. The company goes way back in 1995, but its parent companies both started operating in the ‘80s. Terry Collins acquired Papa Aldo’s and Murphy’s, and turned them into a single venture. The merger was indeed a success, for the company was voted as the best pizza chain in the US in 2003. Three years later, it also won a platinum award for being the Consumers’ First Choice. The company also seems to be popular among employees, and the company prides itself in treating employees as its most valuable asset. It provides one of the most competitive and comprehensive benefits package, consisting of life, death, and accident insurance; medical, dental, and vision plans; and flexible spending amounts. Aside from these benefits, the company shares wellness tips and recipes to its customers in its mission to make the world a healthy place, one step at a time. These wellness links and resources are available at the company website. How old do you have to be to work at Papa Murphy’s? Applicants must at least be 16 years old to qualify for an entry level position. Although hiring requirements depend on the position applied for, minors need to present permits from their school (if they are still attending one). Interested applicants may want to check out this list of available jobs at the company. The key responsibilities and qualifications have already been summed up for your convenience. The crew member shall be responsible for duties at the counter station. He must quickly understand and execute guest check procedures, especially when he is preparing the product. This includes accurately following the portion charts and wrapping pizzas properly. He also assists guests and carries their orders whenever necessary. The company is looking for an uber-energetic individual who can wave and shake signs to attract traffic to the store. As Shaker Boarder, he represents Papa Murphy’s and should thus work according to company standards. He must be cheerful and polite to guests. This is a part-time job with 3 to 4 hour shifts. The dough preparer works only during day shifts, but he also has flexible hours and may be called to the store anytime. His main task is to make and sheet dough, although he also completes other food preparations, as needed. He will also work in the customer service and POS whenever required. The Ops Service Specialist studies, understands, and applies consumer insights to develop programs and drive more sales. This task includes identifying and solving problems to make such programs more effective and the in-store process more efficient. He also communicates the contents of the Operational Excellence Standards Manual to the team. The primary responsibility of the assistant store manager is to help in the supervision and execution of day-to-day store operations. As the leader and second in command, he must act as role model to his team. He not only supervises his subordinates, but he also participates in their tasks, such as handling cash transactions and preparing the products. The cashier provides initial guest contact and ensures that cash transactions are handled properly. He greets all guests and makes them feel comfortable while in the store. In addition, he must be knowledgeable about the products offered in the store, especially product promos and club cards. The store planner is in charge of creating equipment and fixture illustrations, as well as obtaining as-built surveys and building shell drawings. The ideal candidate must know how to use Auto-CAD software and produce layouts for existing and potential store locations. The Business Systems Analyst is responsible for delivering comprehensive system designs and helping drive projects for the development and/or improvement of store operations. He identifies risks and problems, and suggests plausible solutions and ongoing support for the Finance and Accounting departments. 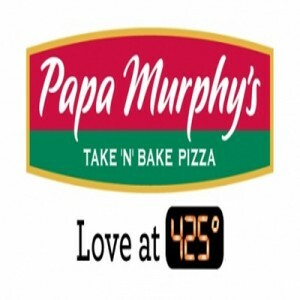 The Digital Marketing Specialist’s domain is the social media accounts of Papa Murphy’s. His main task is to post content and promotions on social networking sites and drive traffic as he implements digital marketing campaigns. He must also communicate trends and feedback to the creative and planning team. The company seeks a proficient, hardworking, and passionate shift leader, who can perform a number of tasks: ensuring the store is ready for operation, checking on the staff and their tasks, and maintaining the overall appearance of the store. The shift leader sees to it that all assigned tasks are done and completed at a given time. To apply, click on the available positions listed on the company’s career section. There will be an initial assessment that you have to complete. This will only take around 10 minutes. Next, fill out the application form (in PDF). Submit your application to the HR department for a thorough evaluation. Have your resume ready for submission and/or uploading, too. You may also contact the company if you have additional inquiries about the job and its requirements. Go to any Papa Murphy’s store or corporate office to personally hand in your application. Be sure to submit a neat and straightforward resume. Include only your relevant skills and trainings. Omit work experiences that are remotely related to the job you’re applying for. Wait for a few days to a week for the initial interview. More often, it’s the General or Assistant Store Manager who will conduct it. The interview usually lasts up to 15 minutes, and includes common questions such as why the company should hire you. The company emphasizes the value of teamwork and commitment. Some of the tasks may be taxing but these are rewarded with the perks and benefits. Moreover, the company believes in the importance of one’s integrity as he fulfills his job. Meanwhile, there are regular sports events at Papa Murphy’s Park, a stadium that used to be known as Bonney Field. Sacramento Republic FC teamed up with Papa Murphy’s for the stadium to carry a more personal brand and bring it closer to families and the rest of the community. Another known fact about the company is its commitment to wellness and nutrition. It always presents nutrition facts about their pizzas, which then attracts more families and health-conscious customers. The company also joined the American Cancer Society Relay to raise money for cancer patients and help spread awareness about the disease. This partnership is found in the Relay for Life website, RelayForLife.org. 1 How old do you have to be to work at Papa Murphy’s?